Faithful wearers of Vans sneakers who happen to live in New York or London already know the local House of Vans as a place to chill out, catch a live band, check out an art installation or (of course) do some skateboarding. And good for them—it's too bad Vans fans in other cities don't have such a place to hang. For the next few days, though, they will. "Our intent is to start our anniversary with a clear call to our consumers that we are the brand that celebrates and enables their creative expression," Vans vp of global marketing Fara Howard told Adweek. The pop-ups will feature an extensive roster of events for the next three to 10 days from interactive exhibits to DIY workshops, all in keeping with the brand's "Off the Wall" ethos. Vans' New York and London outposts will also participate and continue to host regular programming throughout 2016. "House of Vans is where we bring Vans to life and interact with consumers," said Vans senior manager of public relations Laura Doherty. Together with the string of pop-ups, she added, "It's a huge celebration." 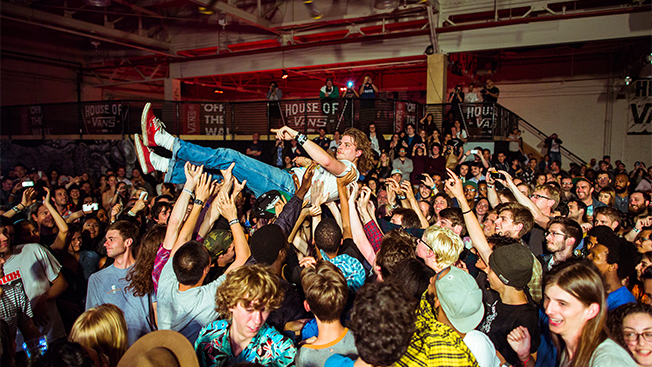 Opened in 2010, House of Vans in Brooklyn, N.Y., has become a go-to spot for live music. Vans is certainly pushing the experiential marketing envelope. New Yorkers have been able to go to the Brooklyn House of Vans (a former beverage warehouse in Greenpoint) since 2010. Four years later, Vans took over a complex of abandoned tunnels deep below London's Waterloo railroad station (giving London's underground youth a literal underground hangout). "House of Vans has been core to our brand, but with only two permanent locations, we can only touch so many consumers," Howard said. For its 50th anniversary, she said, "Our intent is to take the show on the road." It's an actual show, too. Each House of Vans location will host a series of free concerts with headliners such as Nas, Dinosaur Jr., Wu-Tang Clan and Erykah Badu. The concerts are a nod to Vans' footing in the music scene, which began in the early 1980s when punk acts like Henry Rollins began wearing them onstage. Vans first hit American streets in 1966, when footwear entrepreneur Paul Van Doren began selling his inexpensive canvas and rubber shoes out of a small store in Anaheim, Calif. When word spread of the shoes' waffle-grip sole, skateboarders (especially the Z-Boys from nearby Dogtown) embraced Vans. In time, so did everyone from garage bands to BMX riders, giving Vans entrée into the broader world of street culture, which it has influenced (and been influenced by) ever since. 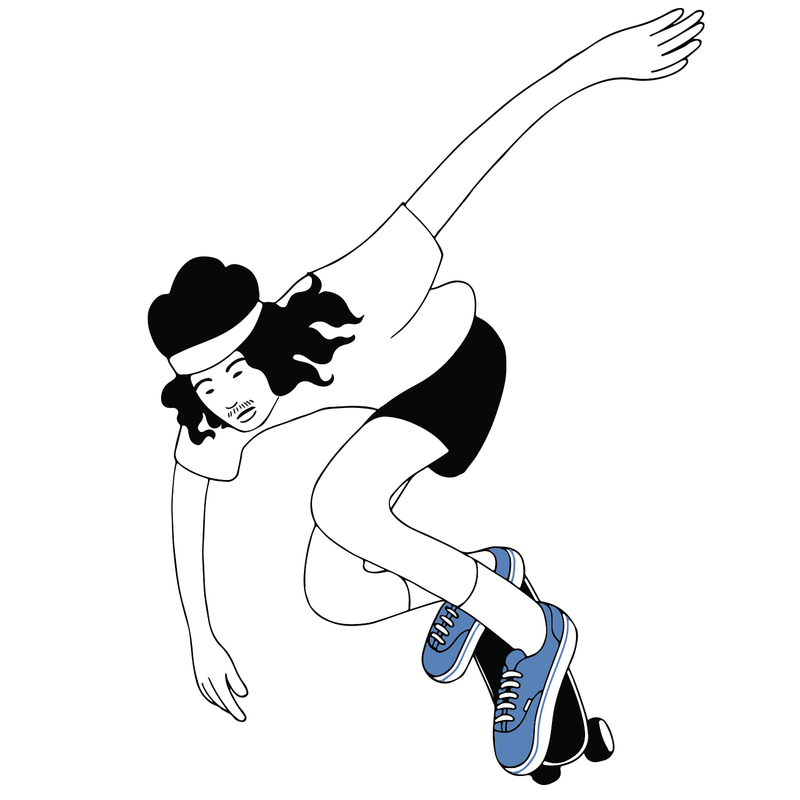 In addition to the concerts, the pop-up locations will commemorate all of those influences by offering classes in screen printing and customizing your Vans by decorating the uppers (a hallowed practice skateboarders began in the 1970s.) 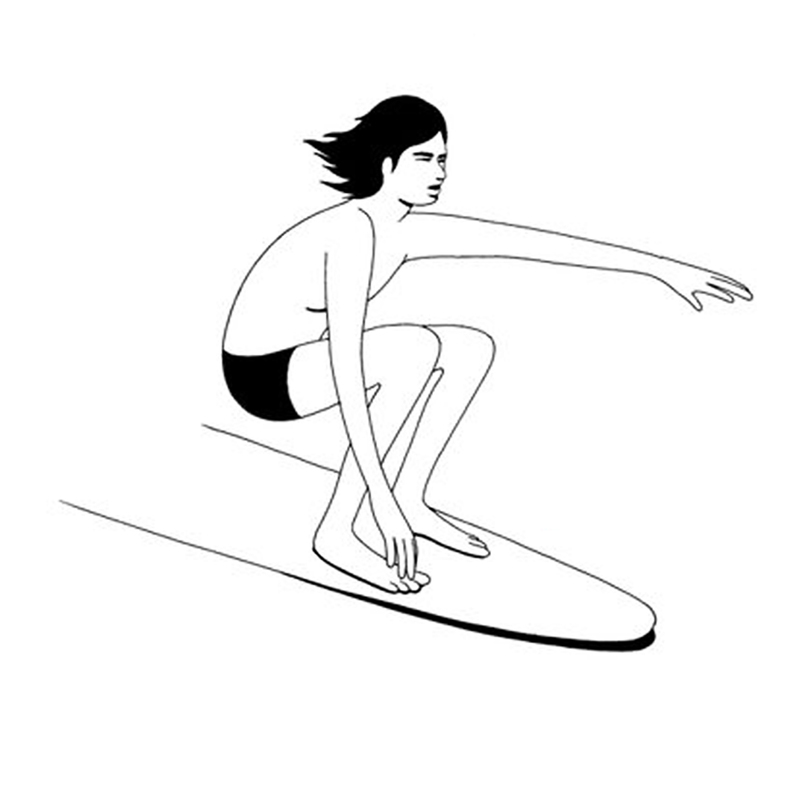 House of Vans locales will also feature galleries of historic Vans (some on loan from Berlin's Skateboard Museum) and huge, selfie-sized cutouts of characters created by artists Mrzyk & Moriceau, whose surrealistic black-and-white animation runs through Vans' five anniversary videos, also debuting today. 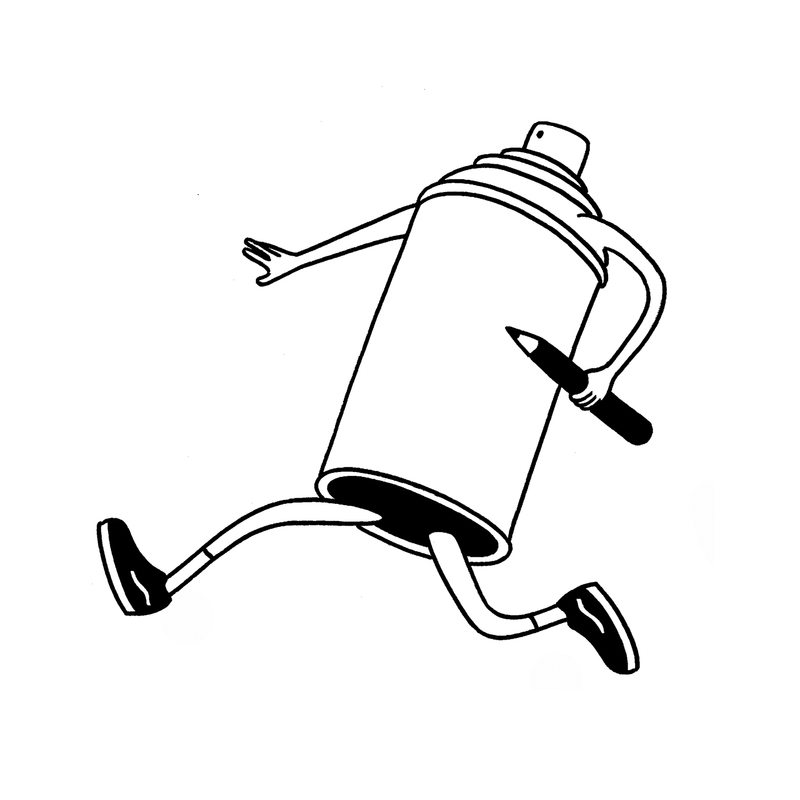 The videos consist of a two-minute anchor condensing Vans' entire history plus four 30-second shorts covering Vans' presence in the worlds of music, art, action sports and fashion. The gritty baritone narrating the music video belongs to Chuck D, who explains how Vans jumped from the world of asphalt to the music scene three decades ago: "We were rollin' with the skaters, and the skaters were down with the punks, and the punks were making music, and the next thing you know, we're going to skate-punk shows, hard-core shows, metal shows, whatever shows." Vans will feature the videos on Snapchat, Tumblr, Facebook, Instagram and Twitter with the hope the content gets shared as widely as possible. "We want to make sure it isn't a one-directional conversation," Howard said. All the programming is free to the public, which no doubt leaves Vans—and parent VF Corp.—with a substantial marketing bill. But advertising and marketing executive Petur Workman believes Vans will likely get its money's worth. "It's an exciting idea," said Workman, whose practice area includes corporate events. "Vans has a culture of being involved in sports and music and has always contributed to creative backgrounds by sponsoring competitions. From an events-marketing point of view, the way they're planning and executing this is phenomenal. It'll be eaten up by this generation. I'm going to the one in Brooklyn—and I'm 45." Even those who can't attend, Workman added, are likely to be influenced by the "long tail" generated by the social media attention Vans is hoping for—not just from the social sharing of its videos but from attendees tweeting about and taking videos and selfies at the House of Vans events. Howard added that the benefit to Vans exceeds the obvious brand exposure. Hands-on programming on this scale is expected to fill the venues with young consumers who are Vans' prime targets. For the company, watching their behavior in the workshops and how they express their cultural preferences in general constitutes a kind of real-time field research. "By watching what our customers do, we learn a lot about what's important," Howard said. "It's an opportunity for us to engage directly with consumers and a tremendous opportunity for our marketers." … a concert stage, too, all of it deep below the city streets.